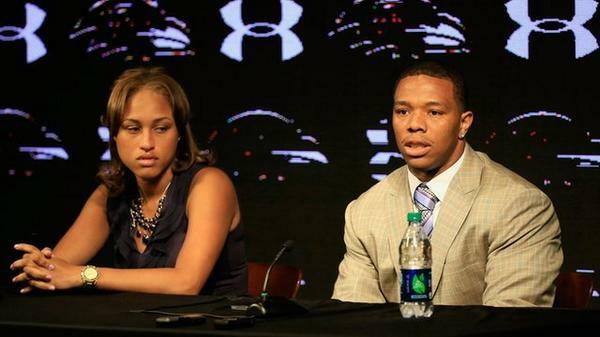 On Monday the NFL suspended running back Ray Rice indefinitely and the Baltimore Ravens released him from the team. This came after a video was released by TMZ showing a heart-breaking, stomach-turning domestic violence incident. The curious thing is that this incident is not new news. Rice was initially suspended by the league for two games back on July 24. They knew at that time that Mr. Rice punched his then fiancee in the face and knocked her out. What was in the dark was brought into the light. Because the world saw what Mr. Rice did, there was an outcry for justice. In a pretty ironic turn of events, TMZ alerted the consciences of the world that justice needed to be shown. There is something about seeing the video of the assault that stirs anger in us. I won’t comment on whether the NFL or the Ravens had seen the video before everyone else did. But I will say that once it was released, people were calling for this wrong to be addressed severely. There are important lessons to be learned here about the horrors of domestic violence, and for those I’d like to point you to these excellent articles. But there is another, even more weighty lesson we need to take to heart in all this. Jesus says a Day is coming where there will be no more secrets. No more things hidden. All things done in the dark will be made known in the light. There are countless deeds of injustice done each day throughout the world, and for the vast majority there are no TMZ videos to alert us that justice needs to be done. But the fact is that God’s Word promises a Day is coming when the all-knowing God of heaven will bring into the light all that is now done in the dark. This should bring us comfort, because justice is coming. This should also bring us discomfort, because justice is coming. The TMZ video release is actually a great act of mercy from God. How? Because it serves as a reminder to Mr. Rice and to all of us that there is a day coming when all that is done in the dark will be brought into the light. I’m not sure what it will look like, but one day the “video tape” of our lives will be played. Every word we said, every thought we had, every thing we thought we got away with—all of it will be exposed before a holy God and we will give an account. What should this move us to do? It should lead us to step into the light today and seek mercy from God. The reason God can extend mercy is because His Son, Jesus Christ, came to earth and died on the cross for sinners. There He received the punishment for every one of our deeds done in the darkness. Three days later He rose from the dead and now promises that if anyone will confess their sin (1 John 1:8-9) and turn to Him in faith-filled repentance (Romans 10:9-10; 1 Thessalonians 1:9-10) they will be saved from the judgment that awaits that day. The day of exposing our sin is coming soon. Let us not think we can hide. Turn to Jesus and receive forgiveness. This entry was posted in Uncategorized on September 8, 2014 by garrettk. This is great, sharing it on my blog FB page. Thanks for connecting this incident to a bigger a more pressing reality. Thanks for Sharing this .I shared this with fb and Twitter. Its a must read and the best blog on the matter.